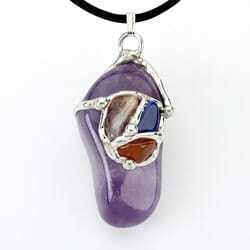 This pendant was created for “clearing the auric field”. 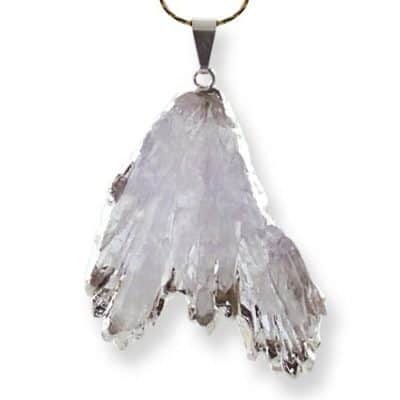 The pendant holds tiny flakes of genuine gold, floating in natural spring water. Gold relates to the sun and is an excellent all-purpose, high level gem amplifier and electrical conductor. It works especially well on the Solar Plexus and Heart Chakra. Gold strengthens the meridians, the central nervous system and digestion. 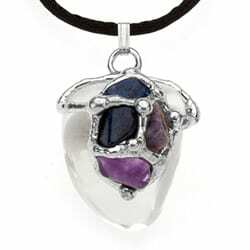 These pendants have been positively charged with warming sun energy. 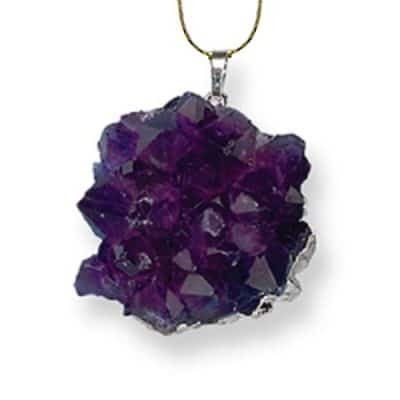 Often worn by teachers/healers, especially after much self-healing (addictions, childhood…) Attracts prosperity, stores and amplifies thoughts/emotions/energy. Gold represents your love, warmth, and spirituality. It amplifies the effects of other gems. 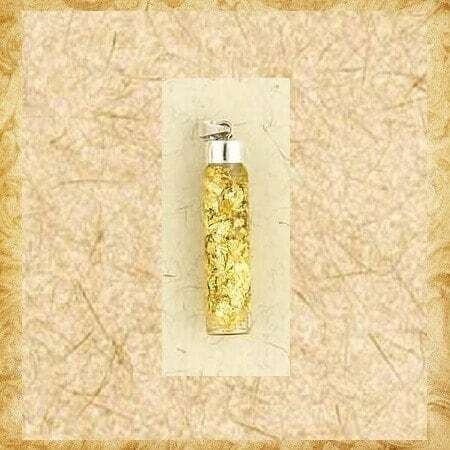 The gold comes in a 1.5 inch glass vial pendant with silver cap to help maintain their vibration and limits the amount of air exposure along with a black cord necklace and clasp.